We’re eager to partner with entrepreneurs who will help us break down the barriers between urban communities and everything that wine culture has to offer. Just in time for the New Year, Waters Edge Wineries, a franchised micro-winery concept bringing the best of wine culture to non-traditional areas, unveiled a new growth initiative today. Building on momentum from last year’s growth, Waters Edge Wineries’ 2016 expansion plans call for an additional 10 to 15 locations. Immediate franchise opportunities are available, as the brand seeks passionate owner-operators across the U.S.
A hybrid of the winemaking and wine bar experiences, Waters Edge Wineries meets the growing demand for quality, handcrafted wines by the bottle and by the glass. The franchise brand outsources the tasks of growing and crushing grapes to a global network of vineyards and growers – allowing owner-operators to own their own fully operational winery without the risk and costs of the agricultural side of the business. Typical winery locations occupy 2,500 to 3,500 square feet of retail space within an outdoor mall setting. Owner-operators use state-of-the-art technology to produce more than 50 different wines on-site, ranging from classics like Chardonnay and Merlot to signature selections like Cranberry Malbec and Green Apple Gerwurtztraminer. Bistro-style food and appetizers and live entertainment, combined with one-of-a-kind experiences like custom labeling and bottling elevate the wine bar experience to provide guests with a lively cultural hub in the midst of a bustling urban or suburban retail environment. As part of their commitment to introduce a historically exclusive lifestyle to as many communities as possible, Waters Edge Wineries offers two franchising formats to interested owner-operators. Franchisees have the option to open a corporate branded store or operate an affiliate location under their own approved name. Both multi- and single-unit opportunities are currently available. Franchisees receive a full suite of ongoing support, including assistance with site selection and build-out, start-up inventory, marketing, and financial management. Waters Edge Wineries – an innovative micro-winery concept – is a dynamic fusion of the winemaking and wine bar experiences, tailor-made for the urban retail environment. State-of-the-art technology and an extensive global network of vineyards and growers allow franchisees to operate their own winery without the hassle of growing and crushing grapes. Each winery offers live entertainment, bistro-style food and appetizers, custom labeling and bottling experiences to complement more than 50 handcrafted wines available by the bottle and by the glass. 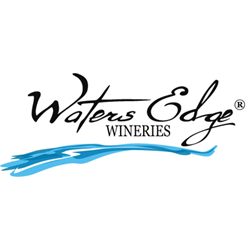 Founded in 2012, Waters Edge Wineries has since grown to 11 locations across the Western U.S. The franchise brand is currently on a mission to uncork culture nationwide with a targeted franchise program. To inquire about available opportunities, visit watersedgewineries.com, e-mail sales@watersedgewineries.com or call (909) GOT-WINE, ext. 704.